I have 4mm Oval Lapis stones I wanted to make earrings out of. I am a beginner, so any answer will be for future plans. I initially thought the smaller, the stone the easier to wrap. Ha! 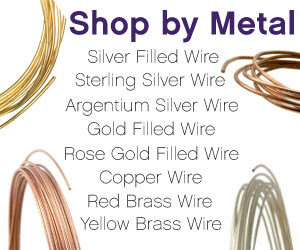 What gauge wire, shape and temper would work best? My plan is to start your beginner course after playing around with wires, stones, and tools for a while. 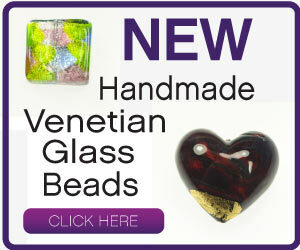 It’s hard for me to be a beginner as I see all the elaborate jewelry that can be made. But I’m having fun. Oh my goodness Margaret! I always begin my students with large stones and cabochons, so they can see what they are doing. Yes, please put those tiny cabs away for a while and begin with something at least as large as a 22x30mm cabochon. May I ask, why would you want to "play around" with wire, stones and tools first? I am sure that our fellow wire artists, from beginner through advanced, will confirm that you should begin with something easy from the Beginner Series, like DVD #1, and learn good habits from the beginning! You will save not only money on supplies, but also possible stress on your hands and wrists by learning how to use "the right tool for the right job" as well as mental anguish that can come from frustration while you "try" to figure things out on your own. You have already said that it’s hard for you to be a beginner – but starting out with my All Wire Bangle Bracelet will make you feel very "accomplished" when you put it on your arm, and you will have begun by learning the basic techniques that are within the construction of about 85% of Traditional Wire Jewelry designs! !